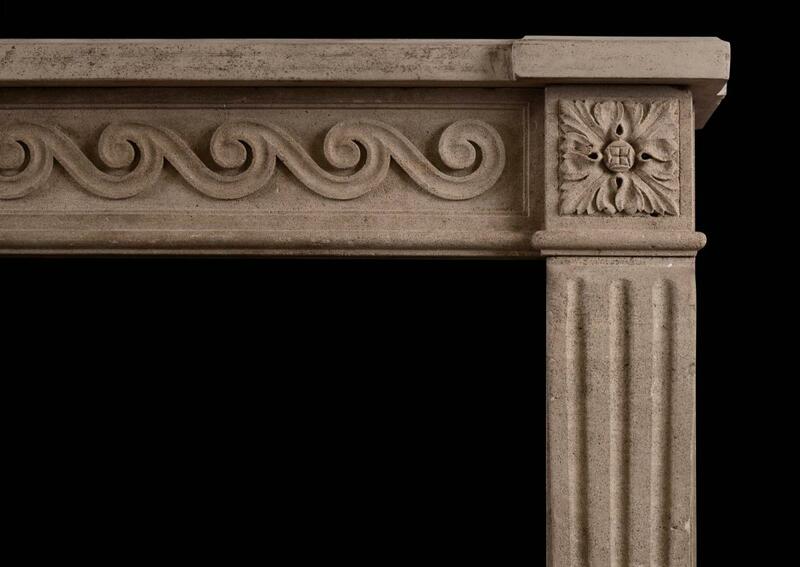 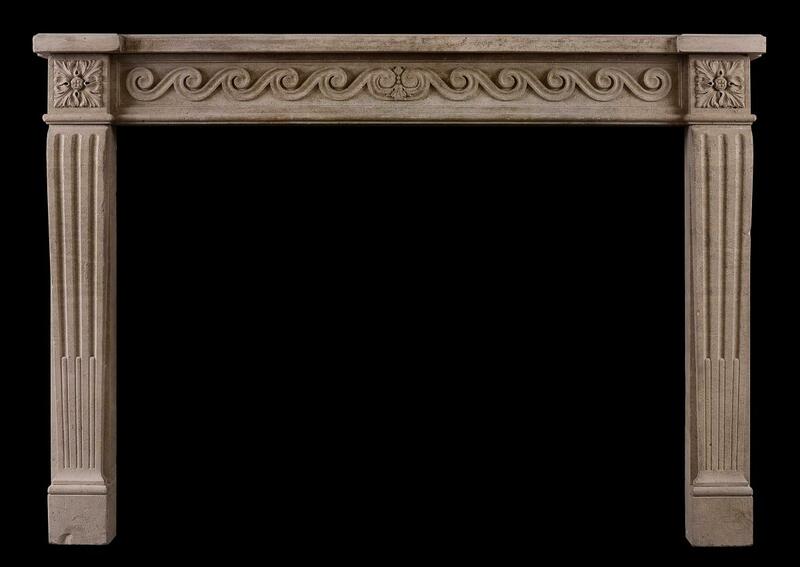 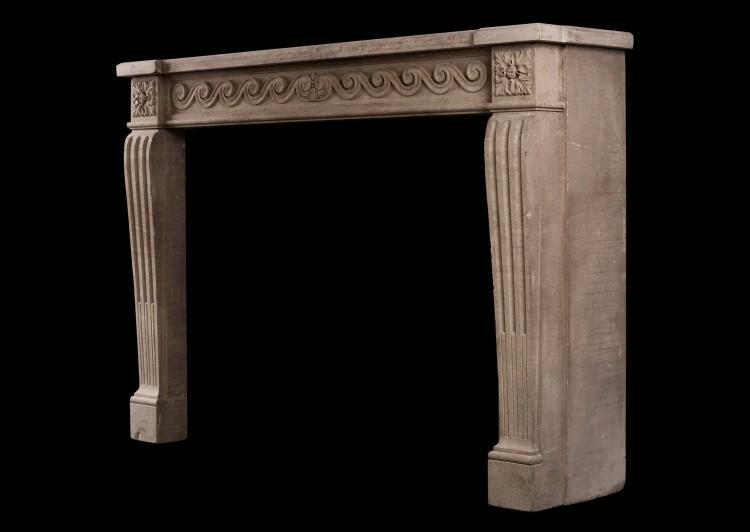 A good quality French Louis XVI style limestone fireplace. 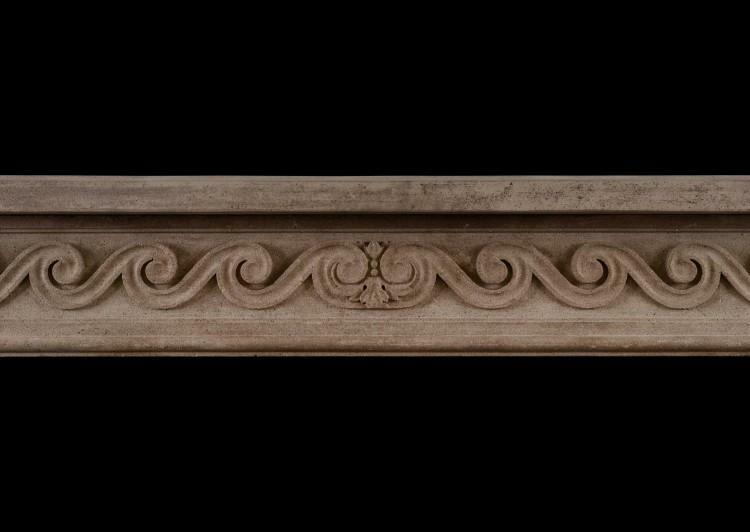 The shaped, stop-fluted jambs surmounted by carved square paterae. The frieze with carved handed C-scroll surmounted by breakfront shelf. 19th century.